We all wear masks in our daily lives, but it's what lies beneath the surface that really counts. 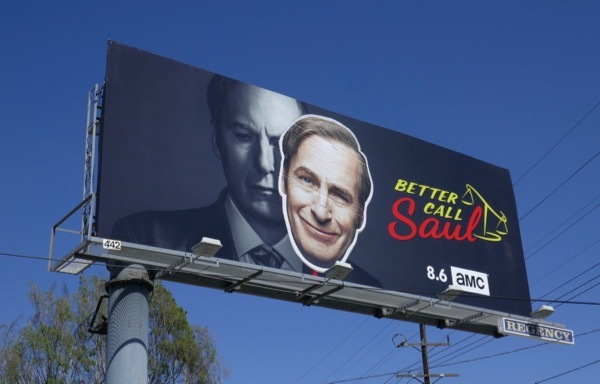 This summer Bob Odenkirk the three-time Emmy and Golden Globe nominee for his role as 'Jimmy McGill' returns for more drama in the Breaking Bad spin-off prequel, Better Call Saul. 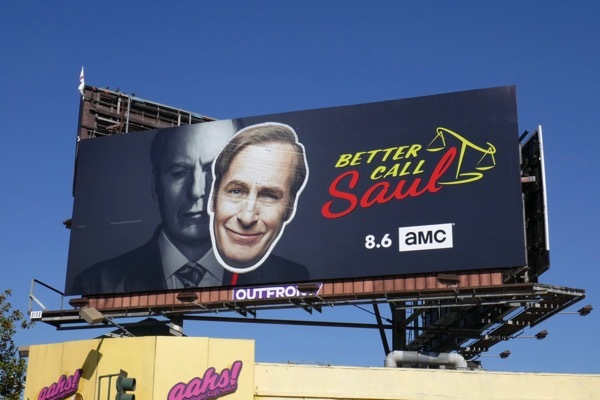 In this fourth season the story of how this conman-turned-lawyer becomes the shady 'Saul Goodman' fans know and love from the Breaking Bad series continues. Last season we saw him adopt the name as a producer of commercials for local businesses, but what's next for the character and the dangerous world he inhabits. 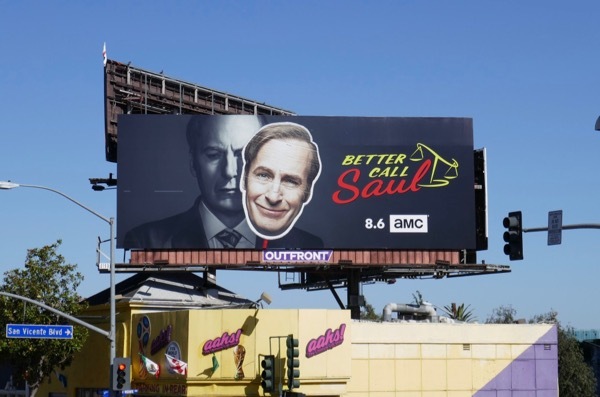 The show's season key art is always intriguing and these clever season four billboards were spotted along Hollywood Boulevard, Vine Street and the Sunset Strip from July 10 to July 23, 2018. 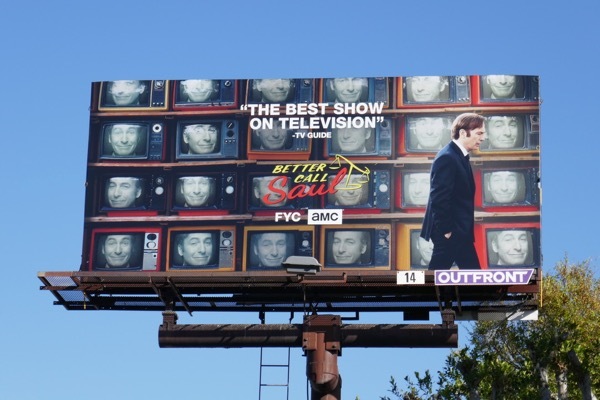 Fans of the AMC legal and crime drama can also check out all these previous season promo and awards consideration billboards for Better Call Saul. 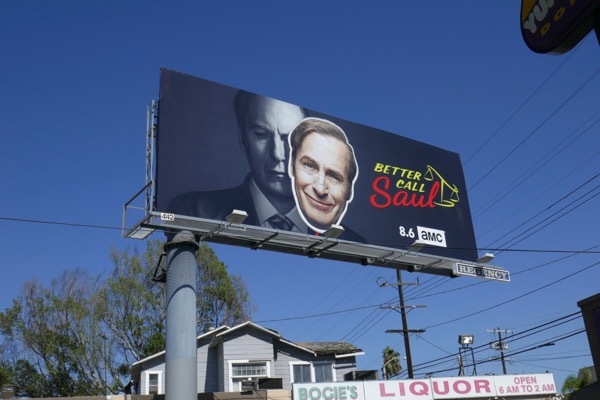 Plus completionists can also enjoy all these Breaking Bad billboards that preceded them. 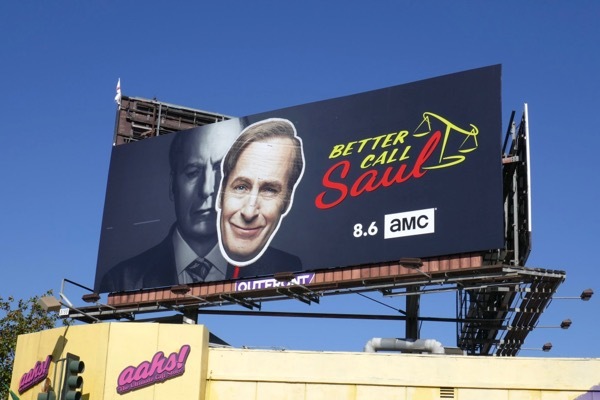 As the years get every closer to the events of the parent series, surely 'Walter White' will one day make a cameo appearance in Better Call Saul. Yes, we all wear masks, but sometimes we wear them for so long, that we forget who we really are. 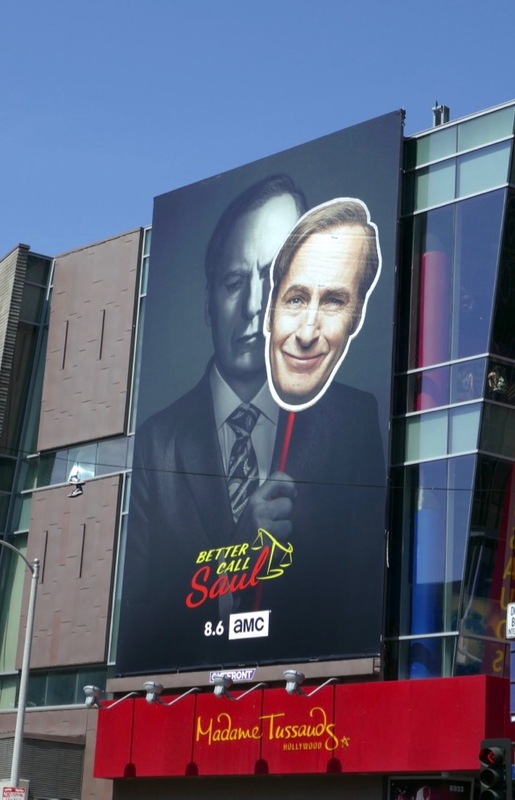 UPDATED: Can Better Call Saul repeat its awards season success this winter and receive a fourth Golden Globe nomination in a row for Bob Odenkirk? 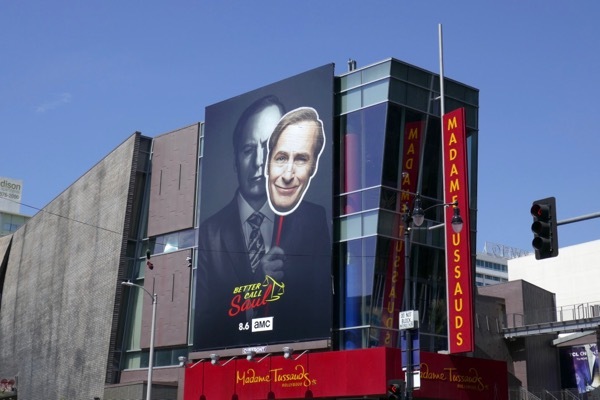 Maybe this cool 'For your consideration' billboard snapped along West Hollywood's Santa Monica Boulevard on November 23, 2018, will help.